The pace of application development has been increasing rapidly. Continuous testing is the only way to avoid bottlenecks. 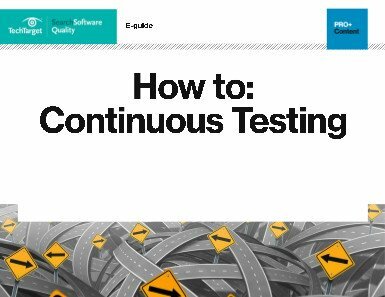 Download this PDF to introduce continuous testing in your organization. Spherion was experiencing a lot of application performance issues with its PeopleSoft payroll processing application, but implementing the Quest Foglight APM tool made a world of difference. Organizations are recognizing the benefits of using application performance management (APM) earlier in the software development life cycle. Benefits include the lower cost of repairing problems discovered early.